Over-pressure scenarios can be defined as a situation resulting from the internal pressure within piping or vessels exceeding the maximum allowable working pressure (MAWP). The term “over-pressure” can make those in the process industry cringe. This revulsion is born from associating the term with catastrophic consequences like explosions. However, over-pressuring of piping or vessels—exceeding the MAWP—does not always result in catastrophic consequences. When evaluating over-pressure of piping or vessels during a Process Hazard Analysis (PHA) setting, the design pressure of the equipment in question must be considered. When too much air is blown into a balloon creating an overpressure, the balloon bursts creating a sound that can startle those nearby. When a vehicle has a tire blowout, resulting because the air pressure inside the tire is greater than what the tire can withstand, the flying rubber can cause damage to those nearby or even cause the driver to lose control and crash. We can all agree that the higher pressure “vessel” of the tire blowout has a more severe consequence than that of the lower pressure “vessel” of the balloon. This same theory of higher pressure leading to more severe consequences can be used when considering overpressure scenarios for atmospheric (lower pressure) vessels and pressure (higher pressure) vessels. If you grab a bag of balloons and test the burst pressure by blowing in too much air the balloons do not all burst at the same pressure; the burst pressure is normally higher than the recommend fill volume. This concept can also be translated to atmospheric vessels. Atmospheric and low pressure vessels do not fail because they were operated at their MAWP. Typically, vessels with MAWP ratings of less than 15 psig are classified as low pressure vessels. These vessels are normally hydrostatically tested to 125% of the design pressure of the vapor space (API 620 7.18). If hazard event pressures cannot exceed 125% of the vapor space design pressure, safety or environmental consequences should not be a concern as a result of the overpressure, unless specific concerns are noted by the review team (such as degradation where a reduced pressure might be appropriate). Above these pressures, from 125% of vessel MAWP up to 200%, the initial consequence is assumed to be loss of containment—leaks—and equipment damage. The safety and environmental impacts will be the result of loss of containment, such as flange or gasket leaks. Equipment damage should also be considered if appropriate. Past this point, the vessel fails by bulging, and then splitting open and spilling the contents. This failure mode likely does not involve an explosion, shrapnel, or a shock wave. Consequence is based on exposure to the released material. These guidelines correspond with normal physical overpressures and not necessarily with internal deflagrations or detonations. Overestimating the consequences can result in a misallocation of resources. Automotive tires are designed to contain much higher pressures than that of a latex balloon. When tires burst, more energy is released, resulting in more severe consequences. High pressure vessels (MAWP > 15 psig) are assumed to have the potential to fail catastrophically (explosion, shrapnel, and shock wave) under certain circumstances. Pressure vessels and pipelines also do not fail because they were operated at their MAWP. Pressure vessels are normally hydrostatically tested to 130% of MAWP (ASME Section VIII div. 1 UG-99) and pipelines are normally hydrostatically tested to 150% of design pressure (ASME B31.3, Paragraph 345). If hazard event pressures cannot exceed 130% of vessel MAWP and 150% of pipeline design pressure, no safety or environmental consequences should be expected as a result of the overpressure, unless specific concerns are noted by the review team (such as degradation where a reduced pressure might be appropriate). Above these pressures, from 130% of vessel MAWP and 150% of pipeline design pressure up to 200% for each, the recommendation is that the initial consequence is assumed to be loss of containment—leaks—and equipment damage. The safety and environmental impacts will be the result of loss of containment, such as flange or gasket leaks. Above 200% of MAWP or design pressure, the assigned consequence is a failure resulting from the tank bulging. There is a loss of containment and the vessel will need extensive repair or need to be replaced. It is not until the vessel or pressure reaches a burst pressure that we need to be concerned with catastrophic failure and the resulting explosion, shrapnel, and shock wave. The burst pressure, not the MAWP, is used in blast modeling for consequence analysis. The burst pressure in turn is most closely correlated to the ultimate yield strength of the vessel. The ratio of ultimate yield strength to MAWP is a safety factor. The ASME Boiler and Pressure Vessel Code (BPVC) uses a safety factor of four, so the burst pressure is 4 times or 400% of the MAWP. Pressure vessels specified and constructed to European standards will typically have a burst pressure that is 6 times or 600% of the MAWP. The European standard also states that it uses a safety factor of four, but is based on only two-thirds of the yield strength of the materials used. When the overpressure is slight — less than 125% of MAWP for low pressure vessels, less than 130% of MAWP for high pressure vessels, and less than 150% of MAWP for piping – the consequences are operational. When the overpressure is higher – up to 200% of MAWP – the consequence will be leaks at gaskets and fittings. When the overpressure is higher still – between 200% of MAWP and 400% of MAWP – the consequence will bulging and distortion of the vessel or piping, so that it will need to be repaired or replaced. In addition, there will be larger losses of containment. When the overpressure is very high – greater than 400% of MAWP – the consequence will be a catastrophic vessel failure, with resulting shrapnel, shockwave, and loss of containment. PHA teams are responsible for identifying consequences and causes of overpressure scenarios. The teams should consider failure modes and set the consequence severity based on the independent overpressure scenario as well as any other factors for their specific case, such as location, size, contents, etc. 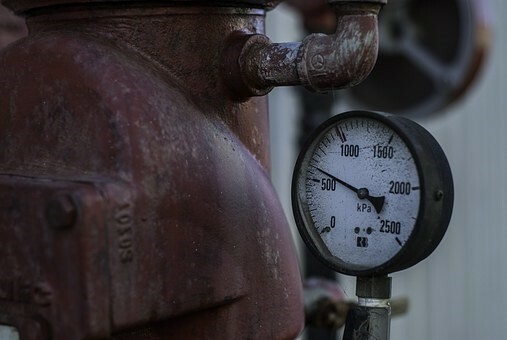 When evaluating overpressure scenarios, it is important to appropriately identify consequences and scenarios to prevent misallocation or under allocation resources.